Raise your hand if this release was a pleasant surprise. After charming a plethora of indie music aficionados back in 2014 with her single, Bassically, Tei Shi is back with her debut album, Crawl Space. She's mastered her own genre, blending fluid, airy beats with her sultry voice. Tei Shi is fearless, much like the tarantula moving across her face on the album cover. Valerie Teicher, the New York-based singer, is an insanely skilled vocalist, and she really flexes her vocal chops on this LP, blending silky smooth ocean-like waves that lull you into a beautiful trance. The album starts off with a recording of her as a child, a reoccurring interlude throughout, where she talks about her insecurities and musings. It really gives her this down-to-earth quality that makes her even more likeable than she already is. After that, we dive into her lead single from the album, Keep Running. It just oozes this energy and puts you in a different state, with heavy drums, a reverberating bass line, and her luxe voice that whisks you miles away. Branding her own sound as "mermaid music", Tei Shi really has an undefinable genre. She blends a sort of minimalism that's tinged with R&B, she's an experimental artist with definitely her own flair. At one point we hear her Bad Singer interlude, where as a child she announces she hopes one day to sing like Britney Spears. Right after that we jump into Say You Do, which is finest sort of pop music. It's super catchy and danceable, with an unmistakeable radio quality about it. Baby on the other hand is airy and light, perfect for afternoon lounging. It's totally different than the other songs on her album, basic but clean, evoking fuzzy and warm feelings. 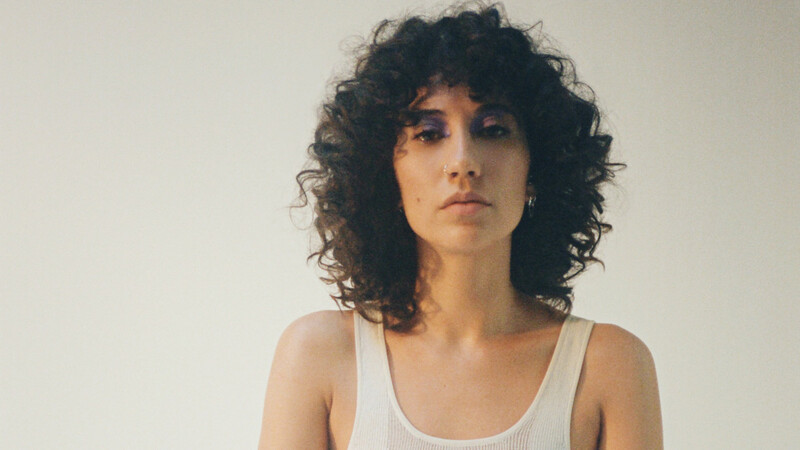 Tei Shi is truly a chameleon, because she takes you from that innocent emotive state, into slow and sultry bedroom music like on Como Si, which is sung entirely in Spanish. Crawl Space is refreshing, it's a different take on pop music that I haven't heard in a really long time. I was so excited for this release and Tei Shi delivered. She's absolutely captivating, and this unique confidence she has I'm sure she'll take with her to whatever musical venture she puts out next. If you've fallen absolutely in love much how I have, be sure to catch her on tour currently with MØ this year. Yeah she's totally rad! I love this sort of low budget thing, it really works, haha. Definitely do! She's got so many catchy songs. Omg I know, spiders of any sort absolutely terrify me!